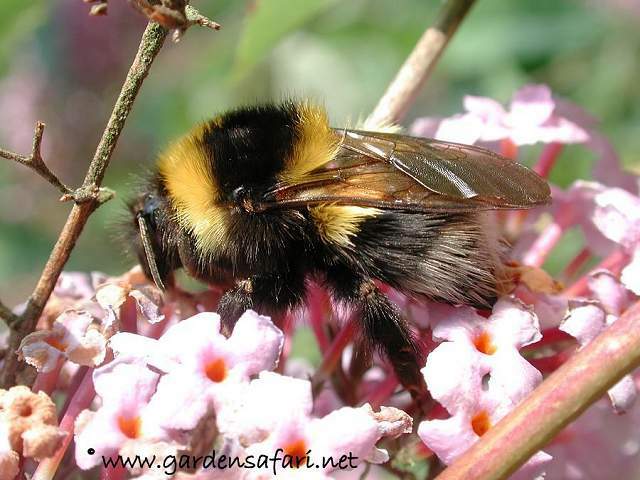 Bumblebees are big and extremely hairy bees, rather closely related to the well-known Honeybee. Most species live in colonies. But they do not store food (honey) to survive winter. The little food they do store serves as a reserve to feed the larvae and the egg-producing queen, or is used to survive cold, windy and rainy days. Just like in social wasps the colony dies, usually in late summer or autumn and the new queens seek for a place to hibernate. 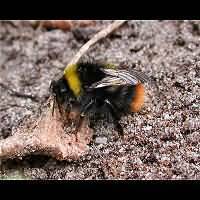 A bumblebee colony normally is much smaller than the colonies of Honeybees or wasps, which may be comprised of several thousand individuals. 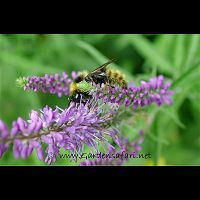 Most bumblebee colonies are comprised of some 50 to 150 animals. 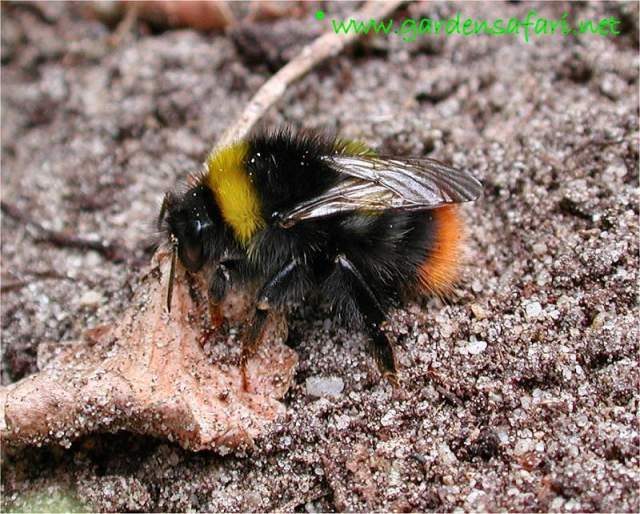 Only the Earth Bumblebee may have richly populated nests in which we find 200 up to 600 individuals. 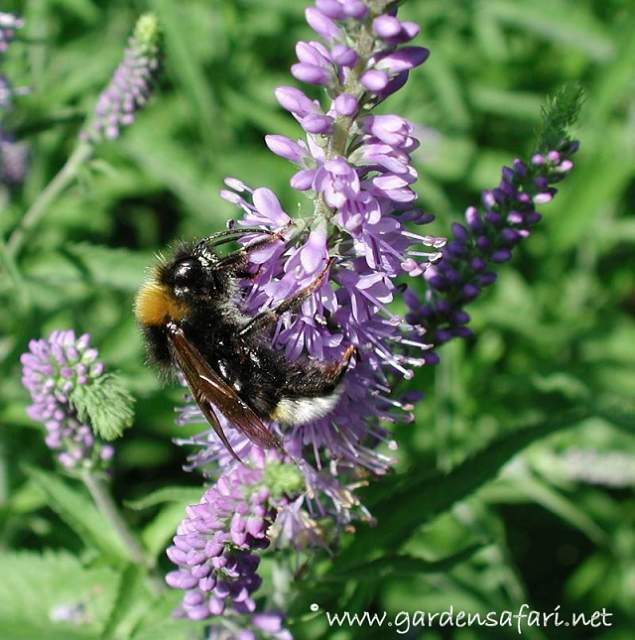 A few species of bumblebees are being bred nowadays to take care of pollination in greenhouses. They turn out to be very useful in growing tomatoes and cucumbers. One can buy colonies in specialized shops and on the internet. 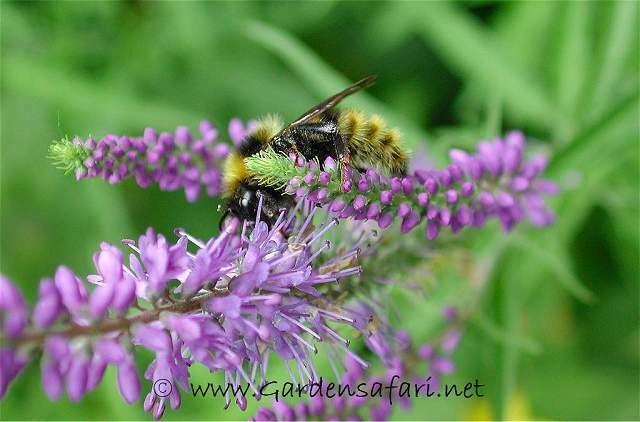 When flying most bumblebees are producing lots of noise, attracting our attention that way. They belong to the most beloved of all insects, for they are the perfect messengers announcing spring is on the way. 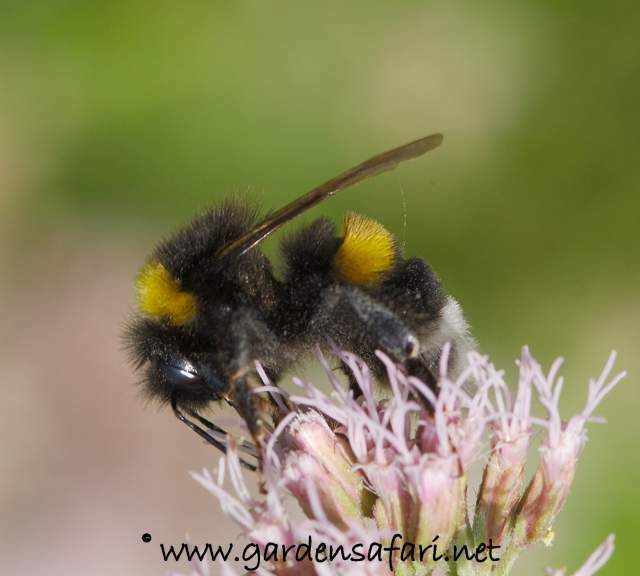 Sometimes as soon as the end of February the first queens can be seen flying from spring flower to spring flower, even though they usually appear by the middle of March. 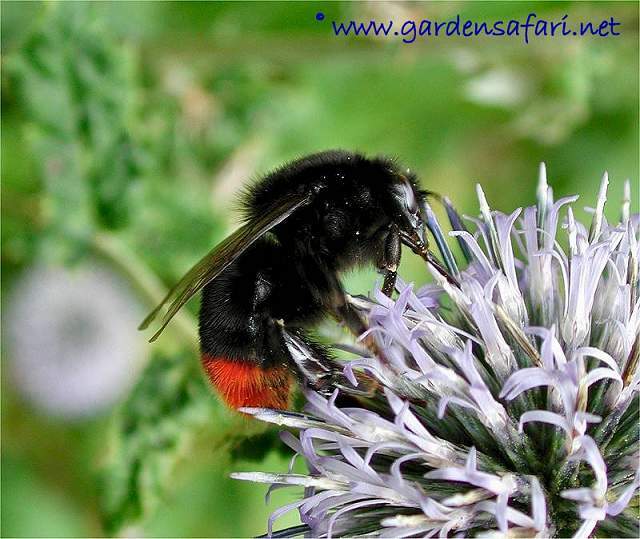 Bumblebees have typical warning colours: black and yellow or black and red. And it is true: all species are capable of stinging. But they are not very willing to do so. We can even take many species in our hand. As long as we don't squeeze them, they won't sting us at all! 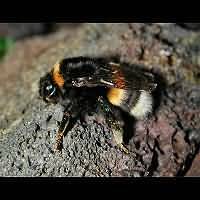 Only bumblebees laying on their back should never be touched, for this is their typical defense position, indicating they feel threatened and are ready to sting! Even though the stinger of the bumblebees is build the same way as the Honeybee's, their stinger will not remain in your skin. 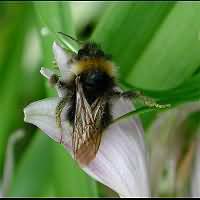 As a result a bumblebee may sting you more than once. The poison it injects is harmless, except for those allergic to wasp poison. 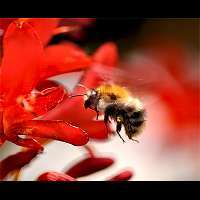 Whether the sting is very painful or not depends on the species involved. 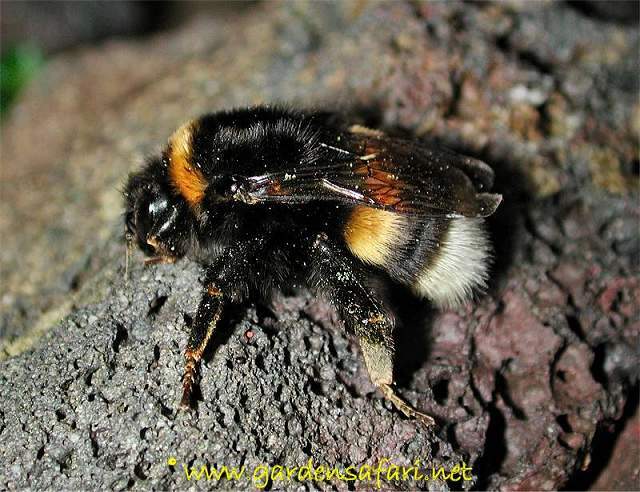 Nowadays all bumblebees are put into one single genus: Bombus. 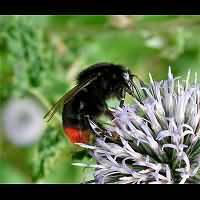 Sometimes a second genus is used (Psithyrus), comprised of all cuckoo bumblebees. 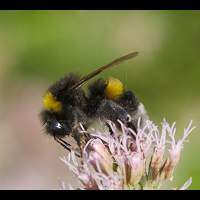 In older days bumblebees were put in numerous genera. The length of the tongue was used as most frequent decisive factor. We will give you the previous name of each species as well. 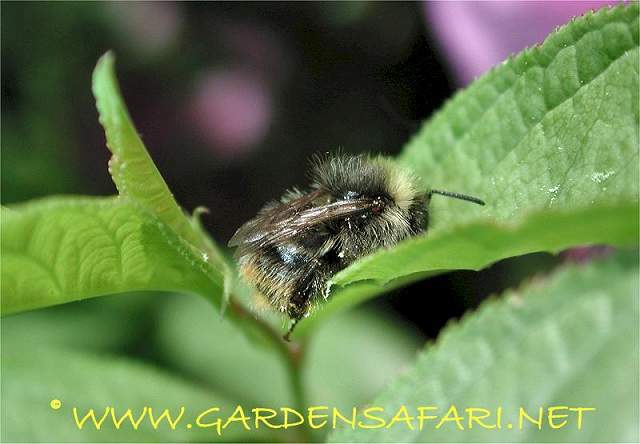 Bumblebees are typical insects of moderate climate zones, with a few species even surviving arctic conditions. You won't find them in the tropics though. The hairs on the body ensure they don't cool off too soon. But there is more. 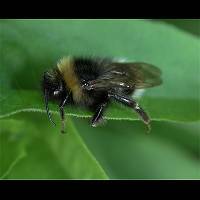 Just like mammals bumblebees control their own body temperature. They can detach the muscles used to move their wings. And by moving the detached muscles rapidly they produce their own body heat. This is the reason you can sometimes find a motionless bumblebee on the ground or a flower. It is not dying or sick, but simply heating up its own body. But due to the fact that the wings are detached from their muscles it is not capable of flying at the time. 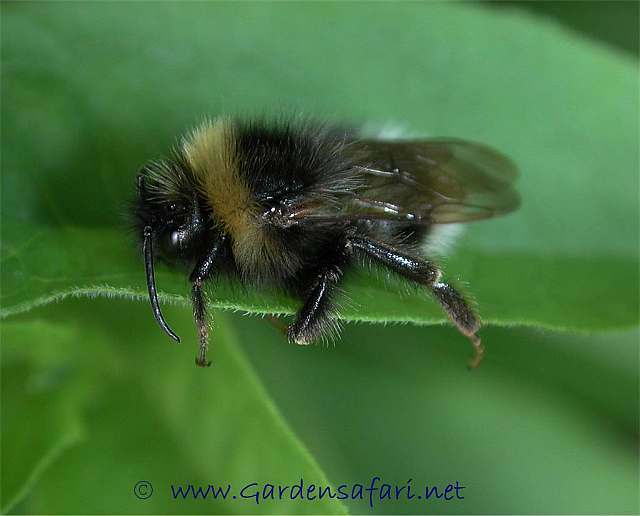 Bumblebees keep a body temperature of 34 to 38 Centigrade. Only in winter, when temperatures are really dropping below zero, they can't keep up anymore and go into hibernation. This is the reason why many species don't care about cold or rainy weather conditions. 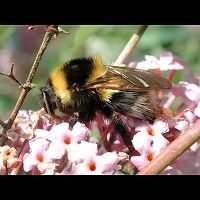 Bumblebees can be active on sunny days, while the temperature is still one or two degrees below the freezing point. 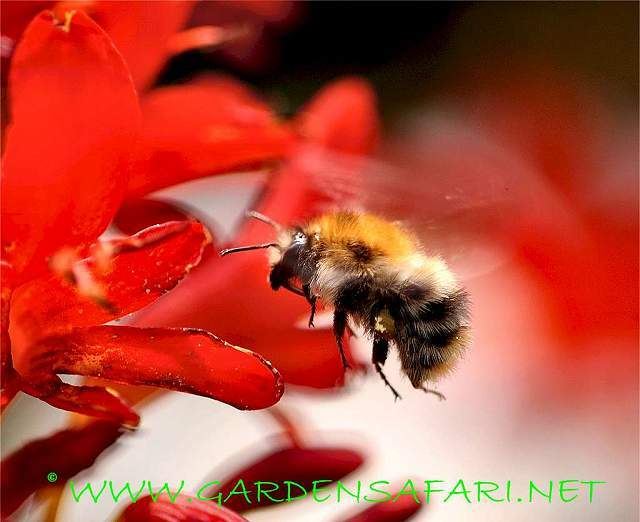 Honeybees for instance will become active only when temperatures are above some 15 degrees Centigrade!